Very few stand out executions across publishers this week. The Aircel rich media takeover on Yahoo! India Home Page was innovative for sure. 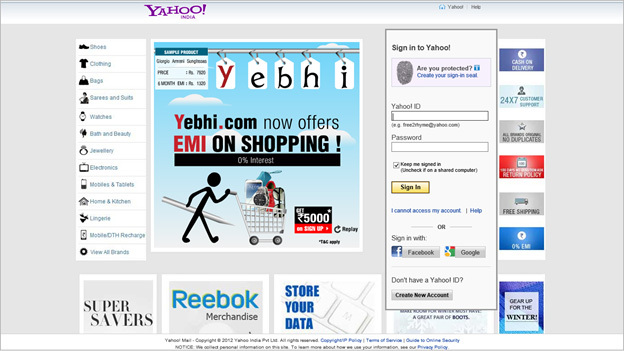 Another creative that grabbed attention was Yebhi.com's Yahoo! India Email Login Page takeover. Though busy, they did a good job of making the unit look like Yebhi.com's landing page. Why a Yahoo! would allow that, I don't know as the Mail Sign In area just got lost in the branding clutter.